It is now official. Beyond the world of speculation. 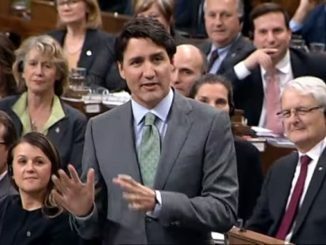 Justin Trudeau wants a handgun ban in Canada. More specifically he wants to take away handguns from law abiding target shooters because he doesn’t know what to do about gang members shooting up Toronto, Vancouver, Ottawa or Montreal. Whispers have been coming out of the prime minister’s office about this idea for some time now. Those whispers were dutifully reported by the reporters that get PMO access without putting any critical thought or assessment to the idea. Now it is in the mandate of one of Trudeau’s newest cabinet ministers, Bill Blair. Blair is officially the Minister of Border Security and Organized Crime Reduction. It is a ministry without a department and no one reports to him. 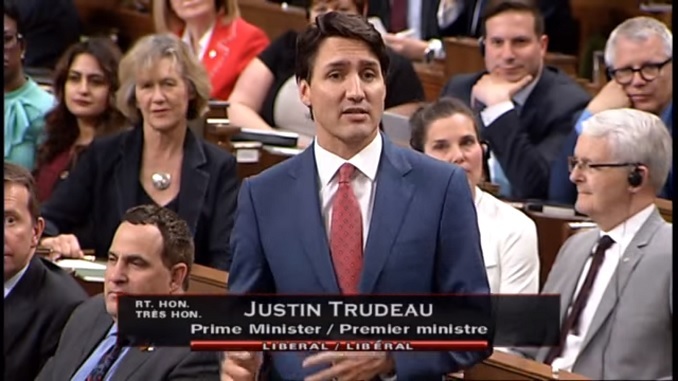 Still, Trudeau wants him to come up with a plan to ban handguns. “You should lead an examination of a full ban on handguns and assault weapons in Canada, while not impeding the lawful use of firearms by Canadians,” the letter reads. The idea of a complete handgun ban across Canada picked up steam after the Danforth shooting in July. That shooting was carried out with a stolen gun. According to a single report it was stolen from a gun shop in Saskatoon at the same time as the shooter’s criminal brother was there dealing drugs. Police used the idea of the gun stolen in Canada to push their false claim that 50% of guns used in crimes in Canada are sourced in Canada as opposed to smuggled in from the United States. As I document here, this is a claim based on a false premise. It is also not supported by Statistics Canada nor the Canadian Firearms Information System. When police forces, be they the RCMP, Toronto Police or Ottawa Police are asked for data to back up the claim, they can’t provide it. In fact Chris Doucette at the Toronto Sun did just such a story recently. In fact, only about 20% of the crime guns seized last year were domestically sourced and less than 9% of all the firearms seized in 2017 were sourced to Canada. The misleading 50% figure is based on the total number of traceable “crime guns” seized by cops between 2014 and 2017, which on average accounted for 31% of all firearms seized. But we all know that despite claiming to be “evidence based” the Liberals are all about feelings. Whether it is a tanker ban on the West Coast, a ban on expanding Toronto Island Airport, blocking Energy East, pick an issue, they care about feelings and emotions, not facts. So in order to deal with the problem of criminals shooting up Canada’s streets Trudeau will look for the only solution he can think of. He will take away your handguns because he knows where they are. He can’t get at the criminal guns. Trudeau, Butts and the rest of the team might know that a handgun ban won’t reduce crime. They won’t care. This move is also part of their re-election plan to secure left wing votes. It is following the culture war advice laid out years ago by pollster Frank Graves. Combine this with everything else Trudeau is doing, including his politics of division, and it would like they are listening to Graves this time. So, a billion dollars worth of private property destroyed for an effort that would have not stopped the Danforth shooter, and would not contribute one iota to public safety. If some idiot obtains a RPAL legally, then buys handguns legally, he/she would or should know, that any restricted firearm is traceable back to the original purchaser if they don’t remove the serial number. Then the idea of straw purchases is only done by stupid people at the shallow end of the gene pool. They deserve to be caught. For crying out loud, tell the politicians stop using the lawful firearms community as their go to whipping boy! ENOUGH! Peter Pan will regret stirring this hornets nest. We will all be working overtime to have him and his cronies removed from office at the next election. There is no question rights and freedoms are under attack in Canada. If Canadians don’t get rid of this virtue signalling putz, democracy will be a thing of the past. I wonder if his supporters have even figured that out yet. This is the most divisive and snd left leaning gov’t I have ever experienced, not to forget the most incompetent as well. Trudeau may get more than he bargained for if he try’s a compete gun ban. The drums of dissention are beating louder and louder in the West, and if he wants to split the country for good that will be the start. I’m betting provincial premiers are going to be buried in requests to not implement such draconian legislation.Trudeau is so far left, he makes Mao look like a conservative. And there it is. The Orwellian doublespeak of the statist leftist. Ban handguns and rifles while not impeding the lawful use of firearms. Can’t have both. Believe it or not, Canadians have a right to keep and bear arms, whether the gov’t recognizes it or not. It is not granted. It is an inalienable right and therefore, inherent in all humans. I have been a small “L” liberal all my life. I don’t think much of my thinking on social and human issues have changed much since I was ten. That said, the membership card in wallet reads “Conservative” and that’s the way it will stay in the same folder as all my firearms memberships and of course my RPAL. May suggest a ban on murder? A handgun ban on lawful firearms owners, and we have terrorists wandering our nation who have killed across the globe and who could have the intent to kill again. 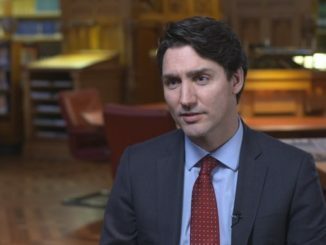 Justincompetent doesn’t care about motive or common sense; he is truly the Groper of Peoplekind, and in his world, the only thing that makes sense is foolishness. You asked for it. Meaning, Canadians voted for Trudeau and got what they wanted. 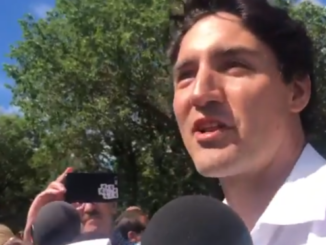 When trudeau said that he supports terrorists and their rights to remain in Canada should have been a warning sign to all what he was and intentions are. Yet, the public still voted for him and the media adore this terrorist supporter. They went all over PMSH for wanting to deport terrorists from our soil. Now they are paying the price for it. Banning guns from legit owners to feel good;to show that he is concern about the public’s safety is laughable. Guns do not kill people People kill people and will go on regardless all guns are taken away. Note to JT and his gang of thugs Criminals buy guns on the black market NOT legally. ANd GUNFRESanE zones are targets for these same criminals ALl the biggest number of murders happen in gun free zones. He is setting citizens up as sitting ducks and preparing to take over the country by leaving us defenseless just like Hitler did.